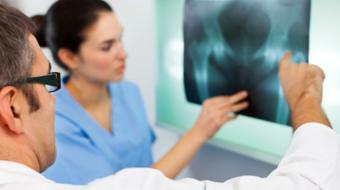 Hip Pain Caused by Osteoarthritis Dr Bassam Masri, MD, FRCSC, discusses Hip Pain Caused by Osteoarthritis. 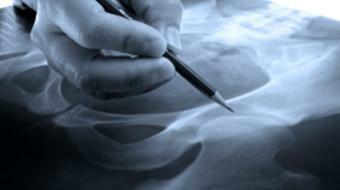 So the most common reason for hip pain that we see in middle-aged individuals is osteoarthritis. 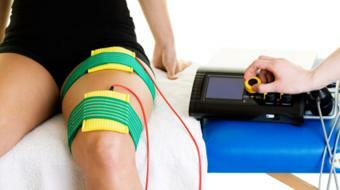 And the condition is caused by loss of what we call the articular cartilage. So the articular cartilage is a thin layer of cartilage that lines the surfaces of the joint. 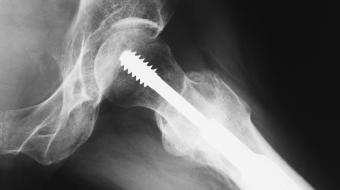 It lines the femoral head and it lines the socket. And it’s a shock absorber. It’s a very, very slippery surface that’s similar to in a car engine when you lubricate the pistons to allow them to move freely, and that allows the joint to move freely. With time and with certain either degenerative conditions or injuries or developmental conditions, you can start to wear away that surface. And as that surface wears away, you lose that lubrication in the joint and you lose that smooth movement. The thing about cartilage is that it has no nerve supply. So when you pound the cartilage, it doesn’t hurt. As soon as you lose that surface, you expose the bone, and the bone does feel pain, and you start to feel pain because you’ve lost that cushioning in the joint.